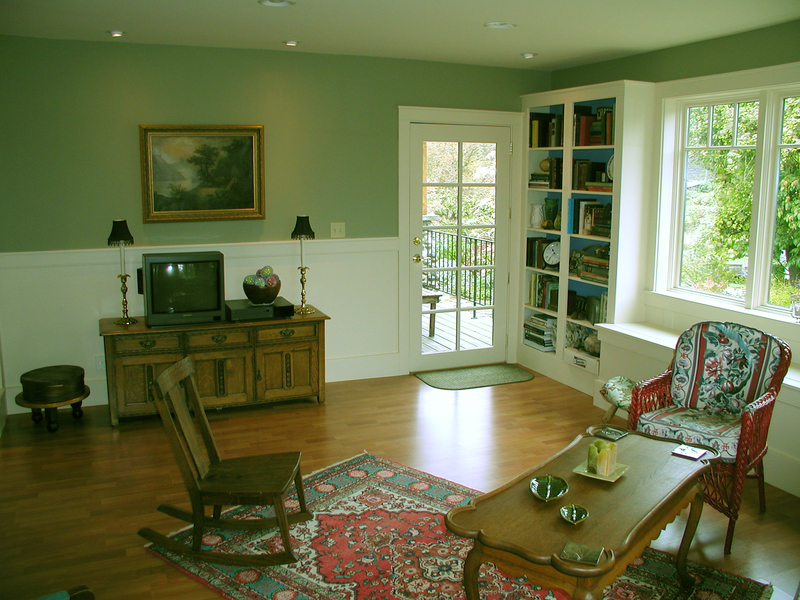 The blog “Home Remodeling” has a great article on how to choose paint. No, not the colors. The type of paint – i.e., interior, exterior, etc. The two basic types of paint are, of course, interior and exterior. Exterior paints are made to be able to handle heat and cold, rain and snow. They will be either alkyd or latex. The alkyd paints are not as good quality as latex, and are used only if you are painting over existing alkyd paint. Latex handles the weather extremes better and lasts longer so is the best choice. Gloss is made for wood furniture, trim or cabinets. Semi-gloss is most commonly used in areas that get lots of traffic and fingerprints; it is easily cleaned. 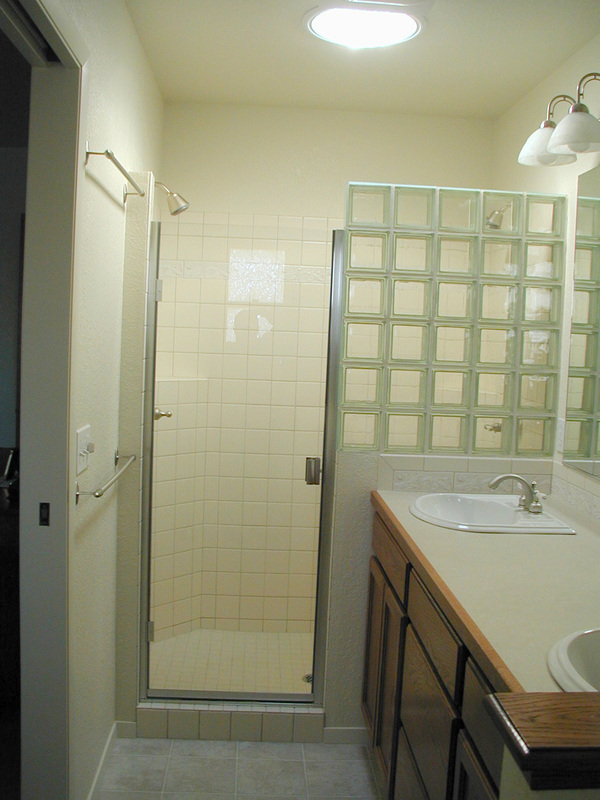 Satin is also easily cleaned and works well in bathrooms and kitchens. Eggshell finishes have a little more shine than flat finishes and hold up a little better than flat paints. Flat paints are the most frequently used finish. It doesn’t reflect light and is most frequently used on ceilings and walls. So, check the finish on your paint selections and make sure they are the best for the application. Well the EPA has changed the rule already; owners of older homes cannot opt-out anymore! You can read my blog on lead renovation rules by the EPA that went into effect on April 22, yes, just last Thursday. Removes the opt-out provision. Under the current rule, owner-occupied pre-1978 housing units (i.e., not inclusive of rental properties) where no pregnant women nor children under age six, nor a property qualifying as a “child occupied facility” (such as a day care facility) could sign a waiver. The remodelers must keep a record of the waiver for three years, which waives the implementation of the work practices dictated by the rule. The new amendment to the regulation that goes into effect in July revokes the opt-out completely. All work in pre-1978 must then follow all work practices dictated by the regulation as of the effective date in July. If you have remodeling projects coming up, be assured that Rose Construction is fully trained, certified and prepared to properly perform the remodel in your pre-1978 home. Last week I wrote about interior painting. If you’re still looking for a great paint, take a look at the article How to Choose Paint from Mother Earth News for information about what type of paint to use in specific rooms as well as low- and no-VOC paints and natural paints. 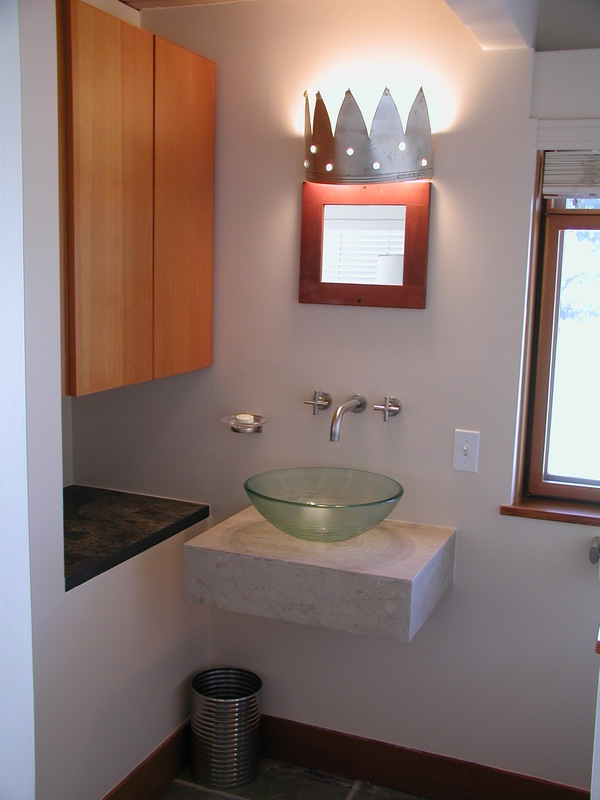 There are a number of wonderful blogs and websites out there to find inspiration for remodel. I came across two posts today that I thought our readers may enjoy. The first post, at Curbly, a DIY community, is called Bright, Cheery Glam Details to Make your Kitchen Pop. I wanted to share this because of all the little details they used that made a real difference. If you like the look of glass front cabinets but don’t like the idea of having to always keep your cabinets organized, you can always try mirrors instead. I’ve never seen it in person but it looks wonderful in the photographs. It really looks much better than it sounds! My favorite aspect of this kitchen is the paint color. Yellow walls with white cabinets help a space pop and really help create a cheerful space. Who know, perhaps it’ll be so cheery you may no longer need your morning coffee! Though I referenced the Curbly post above, the original post is from Cococozy. A few days ago she posted a beautiful dining room featuring an intricate wood floor and a lot of white: white walls, white ceiling, white windows and white fireplace. Interested? Check out Dining Right in White. There are many, many sites out there to find inspiration. What are your favorite inspirational sites? While Rose Construction generally does all the painting for our projects, every once in a while we get a client who would rather paint him- or herself to keep costs down. Painting, though it initially seems easy, requires a lot of prep work in order to get a professional looking finish. After all, who wants streaks and blotches all over their living room wall? If you’re considering doing your own painting, I’ve included a few tips. The key to a good paint job is prep work. It can take a lot of time, but the results speak for themselves. According to Easy2DIY, you should remove all plates from your walls, such as electrical switch plates and phone jack covers. If you have a hanging light fixture, you should also remove the cover so that you can paint under it. You should protect the fixture itself (as well as any radiators or anything else you don’t want painted) by covering with plastic or a canvas drop cloth. Then you should wash the walls from the bottom up with a good household cleaner. However, you don’t want the cleaner to mix with your paint, so don’t forget to rinse afterward. Finally, fill in all holes and repair cracks, as paint does not cover them (I certainly discovered that not long ago!). An important interior painting preparation step for your ceilings and walls is identifying the type of ouse paint originally used on the walls, ceiling and painted woodwork. To do this, use a clean white cloth, painters rag, and denatured alcohol. Apply the alcohol to the cloth and gently rub the surface. If any paint is softened or removed then the finish is an acrylic or latex paint. If no color is on the rag and the finish is still unaffected then it is an oil base. Acrylic, latex, house paints cannot be applied over Alkyd, oil base, finishes without being primed first. However, an Alkyd, oil base, house paint can be applied over an Acrylic, latex finish. I could describe the best method for painting but often people learn better watching somebody else. If you need to work on your roller technique, don’t understand what feathering is or if you want to know if you’re painting your walls correctly, please watch this Expert Village video. The master painter in the video, Grady Johnson, has a number of other videos you can view in his How to Paint a House series, including how to cut in, sand trim and paint door jambs. One thing that you will never see a professional painter using is a roller pan. If you would like to learn to use a bucket screen, Tom Cornett writes about the method as well as provides a step by step instructional video for cutting, the way to paint next to trim without using tape. Tape is another item you will hardly ever see in the hands of a professional painter, so cutting is an essential skill. Of course, you may be wondering about paint itself. Pat has said time and time again, NEVER use contractor’s grade paint. It is simply a poor product no matter what manufacturer produced it. Beyond that, the standard amongst interior designers seems to be Benjamin Moore. But of course, to each his own. From what I’ve heard, Sherwin Williams also makes a great paint and my personal favorite is Rodda. Then again, I am not a professional painter so please take that with a grain of salt. With paint you often get what you pay for, so I would suggest staying away from the least expensive paints you can find. They are typically very low quality. There are a number of more eco- and health-friendly paints in the market. If you are considering Low VOC paints, please read this article about what you should be looking for. VOC is the abbreviation for Volatile Organic Compound, which often carries chemicals and preservatives such as formaldehyde, benzene, lead, cadmium, chromium, diethyl phthalate and dibutyl. These compounds can cause asthma attacks, headaches and even cancer or kidney disease for the chronically exposed. Some of the healthiest paints you can find are natural or non-toxic. Companies who produce these paints include: Bio Shield (less toxic, less allergenic paints, stains, thinners and pigments), Livos (wood treatment products made from raw plant materials), Auro (solvent-free paints, stains, oils and waxes) and the Old Fashioned Milk Paint Company (organic, bio-degradable and VOC-free paint that uses milk protein as a binder). We have never used any of these products but they seem like wonderful ideas. Finally, please remember to dispose of your paint properly! If you’re using a latex based paint, please do not contaminate the storm drain, groundwater or septic by washing your paint brushes in the sink or with outside with a hose. These brushes should be cleaned with solvent in a container. You can reuse the solvent and eventually discard it at Bellingham’s Disposal of Toxics Facility. If your paint can is empty and you are throwing it out, remember to remove the lid. It is a good idea to throw some kitty litter or sawdust in the paint so there is no dripping that would result in contamination. If this isn’t enough information about paint and painting for you, check out the Professional Painting Contractors Forum where all other questions can be answered.